Did you witness the sheer, amazing talent of world-class illusionist Cosentino when he was on TV talent show 'Australia's Got Talent'? 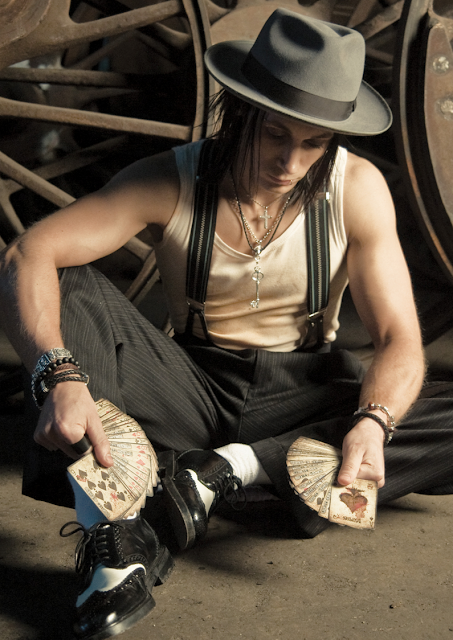 "Cosentino mirrors the legendary Harry Houdini" - LA Times. Guinness World Record holder, and three-times Australian Award winning magician. 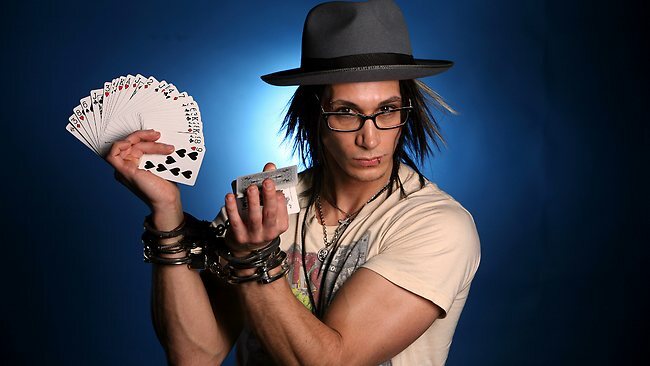 'Cosentino – The Grand Illusionist' includes over 30 minutes of never before seen footage. With world-class production values, the DVD takes the audience on a journey of incredible ingenuity, intimate magical mysteries and intense escapes – distorting all you thought was possible for a man to achieve. The DVD features the breathtaking illusions: The Vault, Crazy Cell, Deja Vu, Split in Two, Training and Breathless in his sold-out theatre performance at the Regent Theatre, as well as street magic performed in front of unsuspecting shoppers, and a death defying escape that has to be seen to be believed. Cosentino is now Australia’s number one illusionist and is essentially the face of a new generation of what is one of the world’s oldest art forms. His grand, theatre-style show brings to life some of the most complex and riveting magic ever seen, delivering just the right amount of danger to keep the audience on the edge of their seats. Josie's Juice: When did your interest in magic first start, and what was it that sparked it? Cosentino: I become interested in magic when I was 12 years old, but it become my true calling when I was 17. I had just finished high school, auditioned for Cirque Du Soeil and landed my first international contract. JJ: How would explain to a child what you do (it must get confusing for adults to follow your tricks as you execute them, so imagine the kiddies! ), and what do you list on your passport as your occupation? C: It’s actually quite the opposite, which is strange. From my experience children get magic more than adults. For example, when I show a child a "magic trick", lets say a basic illusion such as a 20 cent coin vanishing in my bare hands. To the child the coin vanished because of magic. Its real. It must be. Whereas an adult looks for the method. Was it sleight of hand, mirrors, a trap door etc. Young children aren't conditioned and do not have all the pre-conceived notions that adults do. Its their innocence that actually makes it easier for them to understand. They except it as real magic and I LOVE THAT. On my passport it simply reads "Mysterious Mystifier". No it really says entertainer. JJ: Which illusion are you most proud of performing? C:That’s a tough question. Their all my babies. Magic effects leave the audience spellbound and in wonder and the stunts and escapes make people gasp with excitement. So its tough to single one effect out. However, I do love the huge stunts. It takes months of planning, preparation and intense training to execute an underwater escape. All that work for just 2 minutes of success. But the pay off is huge. So I have to go with that. JJ: Who are you inspired by? C: David Copperfield and Harry Houdini. David Copperfield was the first magician I ever saw perform on television and live. I got to perform on the same stage I saw him on for the live show we recorded for the DVD. Harry Houdini is the greatest entertainer that ever lived. I am very inspired by him and I think about what he would do if he were alive today – this really drives my creativity for my illusions and shows. JJ: What can people expect from your new DVD? C: The DVD has been a very exciting process. There is the full TV Special in wonderful digital format, commercial free, but we wanted to make it really special for the fans. So we have added in some exclusive LIVE stage illusions that did not make the TV Show, along with a mini documentary - Behind The Magic, directors out takes and audio commentary about creating the TV special. JJ: What next for you? C: Wow. Okay. I have big plans. I have TV specials coming out later in the year with Channel 7 and then go on tour around Australia, which is very exciting. After that I have another huge publicity stunt planned. You will have to stay tuned. In the long term I will continue to build and change Australia's perception of my art form. We call it the magic revolution and after that I will push forward until I reach my goal of performing on Broadway with my own show. Good luck! Comp runs for one month from today, and is open to Australian residents only. 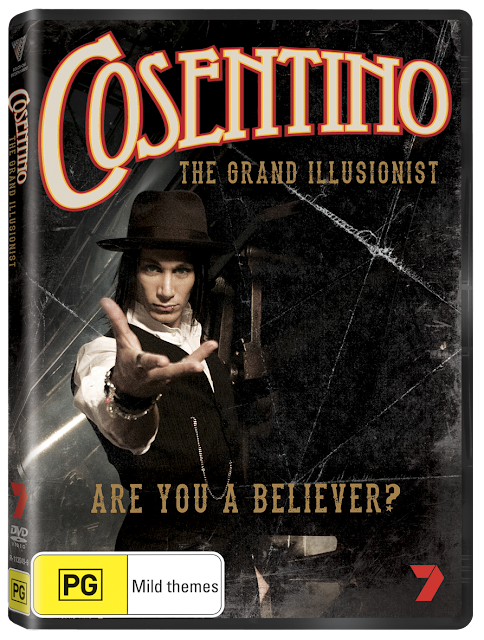 'Cosentino The Grand Illusionist' is available from January 30 2013 on DVD; RRP $24.95. Runs for 43 mins, rated PG. We took the kids to watch their first ever grown-up show a few years ago, and it was Cosentino's show. It was fantastic!!!! I would love to surprise my kids when they get home from school one day, and have a big "Cosentino magic night" how cool would that be! Google's suggested searches - funny!